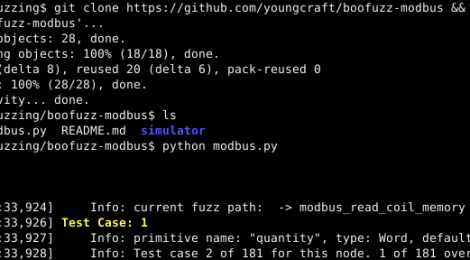 Browse: Home / boofuzz-modbus : modbus fuzzer based on boofuzz framework. boofuzz-modbus is an modbus fuzzer for write read_coil_memory packet protocols model. ← ioc_report – ioc report generator.